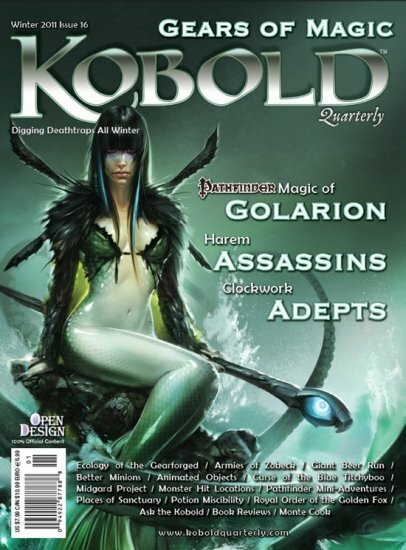 Download a Free Issue of Kobold Quarterly: "
Ninja-deadly D&D magazine Kobold Quarterly pretty much rocks. It’s like ole Dragon reincarnated, with D&D and Pathfinder articles written by industry giants. Not sure if you’d like it? Download issue #11 for free. Just follow the link above and read the instructions."